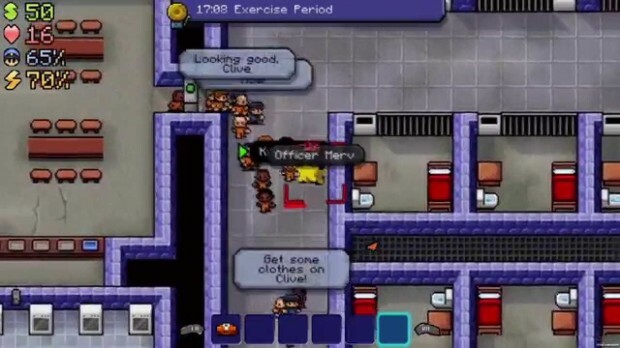 Cool Hand Luke – The Escapists does an excellent job of recreating what the video game equivalent of prison life must “feel” like, yet it never bogs the player down with too much repetition or tedium. The days are long and punctuated with a range of mandatory activities, but this routine never becomes unbearable or overly repetitive, at least partly because the game is designed to allow us just enough freedom to bend the rules. Even the more challenging prisons present some small opportunity to chip away at a wall or to toss a cell for that much-needed duct tape, and it is exactly that kind of extracurricular activity that soon becomes the heartbeat of the game. Get up for roll call, eat breakfast, plan escape, collect needed items, go to work, go to lunch, go to roll call, dig through storage room wall and replace with poster, rinse and repeat daily until plan comes to fruition. Finding what you need in order to execute a plan (which might not even work) and then following it through to completion becomes a compulsion — a fantasy — much as I am sure it does in real prisons and executing the perfectly planned escape is one of the most challenging and exciting experiences in indie gaming. 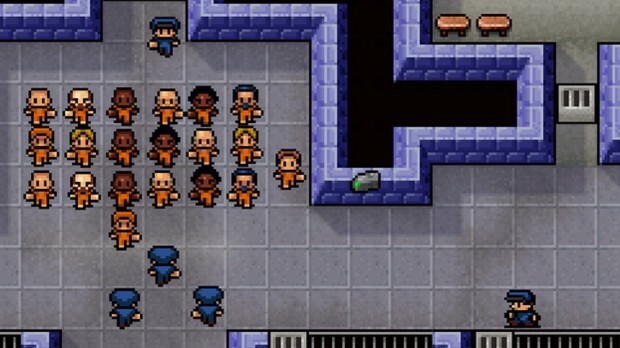 The Shawshank Redemption – Planning, thinking, watching and waiting are factors which play a much bigger part in The Escapists than almost any other game. In fact, this is a game which asks so much of it’s players that it simply would not have succeeded as a boxed release. Game saves only occur once per day (at lights out) and failed escape attempts (or even minor infractions) often have disastrous consequences which likely include the confiscation of all contraband and the undoing of any escape related work – such as tunnelling or hoarding. Everything in The Escapists is a balance between risk and reward – if you can find an hour of time in the guards schedule, do you risk taking down your poster to do some digging, or do you toss cells for more components that you then need to get through a metal detector before roll call? The confiscation of items can be a major setback, but being caught digging will usually result in both the loss of all items and all progress made on the tunnel so far, as well as three days in solitary! It’s an almost perfectly balanced system which really rewards thoughtful players and punishes the impatient or trigger happy. Escape from Alcatraz – Of course, as I’ve already mentioned, the most rewarding part of The Escapists is hatching the perfect escape plan and executing it to a tee. There are certainly myriad ways to escape from most of the six prisons featured in the game, which includes (but is by no means limited to) chipping through walls, escaping into the vents, tunneling, cutting through fences, causing riots and taking hostages. A quick visit to YouTube (beware of spoilers) reveals that there is almost no universally accepted “best” approach to any level. Undoubtedly, there are methods that work better on some maps than others, but I especially love how The Escapists just provides the tools and an increasingly challenging playground for us to use them in and says: “Go for it. Do your worst.” This is proper, grown-up gaming in the old school mould, and it ensures almost unlimited replay value for most dedicated of gamers. 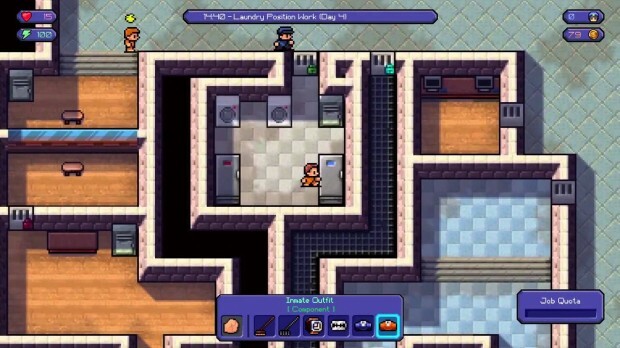 Lock up – Much as I love and enjoy The Escapists, it does suffer from some of the same problems as many of its retro-styled peers. Inventory management is a little clunky, which for me resulted in a few failed escape attempts because I wasn’t able to select the right item. On a similar note, using some items in the game world doesn’t always work as it seems like they should. For example, although it’s possible to craft a bed dummy, it is seemingly impossible to place it on your bed. This kind of issue can be played around, but because the windows of opportunity grow smaller and smaller in the later levels, the seconds often really do count. Life – The most crucial system in The Escapists is undoubtedly crafting. With the ability to create weapons and tools from mundane (and legal) prison items, mastering this system is absolutely critical to the success of any escape plan. Unfortunately, not all means of escape are created equal, and it felt to me like tunneling was easily the least viable option because of the sheer resource cost required. This is because of the rate of wear: even the sturdiest of home-made shovels is only able to shift a few squares of soil before needing repair, which costs both it and an additional hard-to-come-by two illegal components. The components often don’t spawn in the game world at all on some days, making tunneling escape plans take days and days of resource gathering. It’s quite possible this is a conscious decision by Mouldy Tooth because tunneling is otherwise fairly low risk, but it did encourage me to favour other strategies on almost all possible occasions. Death Warrant – The final negative point about The Escapists is that things sometimes happen that feel a little cheap. You may be outside your cell after lights out on one night with no consequences, but the next night, a message pops up decrying your tunneling activities and sending you to solitary. You may chip through a wall behind a conveniently located crate during daytime, and the same message immediately appears even though no guards are present and even if they were, they would have no line of sight. Eventually, you’ll learn these quirks of the game, but they can still occasionally frustrate. 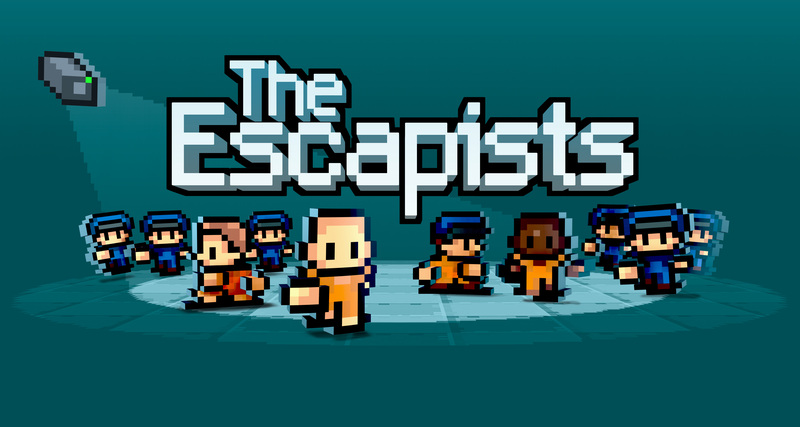 The Escapists is certainly not for everyone, but for me, what began as an interesting premise soon developed into an all-consuming compulsion. This game has its own version of “one more go” addictiveness, which equates to “just one more day” as you chip and craft away at a plan that simply has to succeed. The best thing about The Escapists is that it is capable of delivering both sheer joy and absolute devastation depending on how well the escape attempt goes. It dishes these emotions out with absolute even-handedness, allowing players to fail or succeed on their own merit almost entirely (very occasional oddities aside). For me, that is one of the most obvious hallmarks of a really great game.